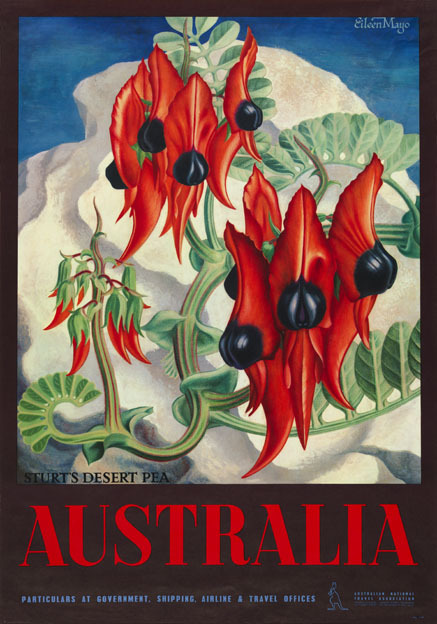 Australian poster illustrating a large painting of Sturt's desert pea, one of Australia's best known wildflowers named after English botanist Isaac Swainson. Artist Eileen Mayo was born in Norwich, Norfolk. She studied at the Slade School of Fine Art, London, Central School of Arts and Crafts, London and Chelsea Polytechnic, London and also studied under Ferdinand Léger in Paris. 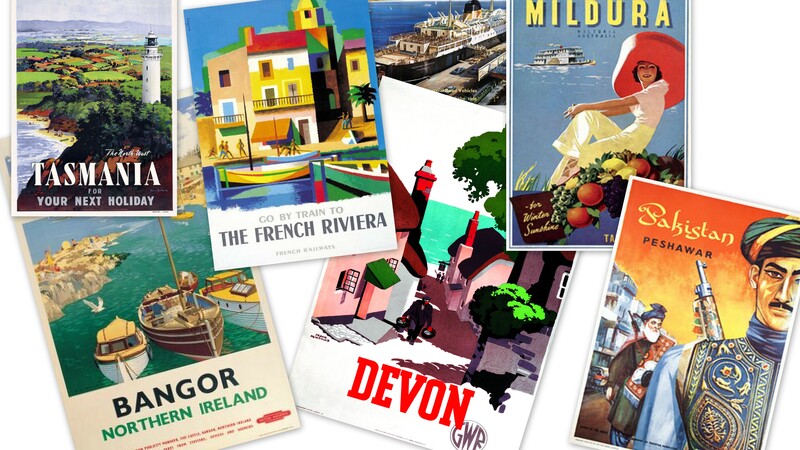 In 1953 she travelled to Australia and then to New Zealand. 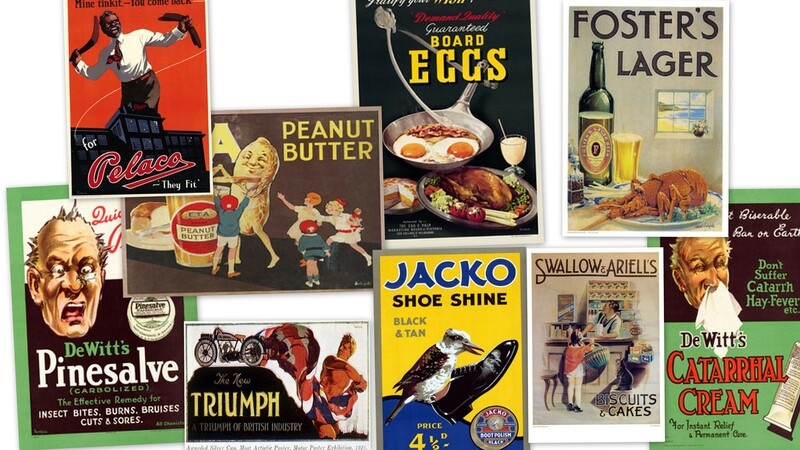 She is best known for her animal prints, which displayed a careful observation and a lively eye for detail. She was created a Dame of the British Empire in the 1994 New Year's Honours List.